The government’s current actions are harming Turkey’s credibility, according to an opposition lawmaker. “Turkey’s friendship is becoming dangerous,” said main opposition Republican People’s Party (CHP) member Osman Korutürk, pointing at the sharp change in Turkey’s once very close relations with Syria and Iran. 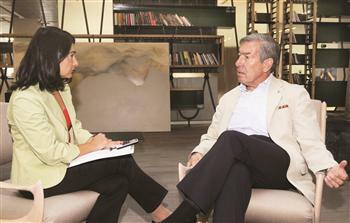 It is not the CHP, but the government that has sectarian policies, Korutürk told the Daily News. Q: The government is accusing its critics of being Bashar al-Assad supporters. Does the CHP want al-Assad to stay in power? A: When the Arab revolution started to spill over into Syria we saw that al-Assad had the tendency to suppress uprisings with violence. At that time the government was quiet because it had forged a disproportionately intimate friendship with Syria. We said at that time that al-Assad should not answer his people’s democratic demands with violence and that an internal dialogue mechanism should be put into play. Our position has not changed. It’s the policy of the government that has changed. We are not convinced that the government has done enough to convince Syria [of democratic reform]. The government should have exerted serious pressure on al-Assad. When turmoil started in the country, camps were established before there was even a sign of a refugee flow and now the government is supporting the Syrian opposition. The opposition is trained and armed. The government directly intervened in the internal affairs of a neighboring country and became involved in its internal conflict. Q: What do you base your conviction that the Syrian opposition is being armed by Turkey on? Are Western press reports your only evidence? A: There are reports from the Western press, reports from the local press, there is information we’ve obtained through our own investigations, the observation of locals as well as the inquiries of our own MP’s from the region. When you add all of this together, you see that Turkey is actively on the side of the opposition. This is a first for Turkey. A: There is a similar tyrant in Sudan. Q: But we don’t have relatives in Sudan and the crisis in Sudan does not carry the risk of spilling over to Turkey. A: This is precisely our criticism. We say that the fire in Syria has spilled over to Turkey due to the actions of the AKP. We believe that the government’s Syria policy has played a serious part in the current rise of terrorism. Of course we are not asking Turkey to turn its back on Syria. You knew the Baath regime, you knew the reflexes of al-Assad. The assumption that al-Assad had changed was wrong. The al-Assad that you went on vacation with and today’s al-Assad are the same. As Turkey forged a very close intimate relationship with al-Assad it should have used this intimacy to put hard political and economic pressure on the regime. At the same time it could have mobilized international mechanisms. Q: But you said al-Assad did not change. Maybe the government thought political and economic pressure would have never worked to change him. A: When I said al-Assad did not change I meant that the al-Assad you went on vacation with and the man who oppresses his people today is one and the same. But that does not mean he won’t change his attitude. His interest is to keep Turkey’s alliance in the region. If you made him feel that he might lose that, he would have changed his actions. In fact, it is when we put pressure on the border [in 1999] that Hafeez al-Assad cut its support to the Kurdistan Worker’ Party (PKK). Today al-Assad could have opted for democracy with a smooth transition. Turkey could have played a better role by garnering the support of the international community. As of now we are trying to get the support of the world to topple al-Assad. America and other Western countries that looked to be supporting us are now making calls of restraint to Turkey. Everyone has retreated while we just stayed on the frontlines. Now we are asking who pushed us to the front. And we are still waiting on the frontlines. Q: But you said it yourself, Syria changed its position in 1999 only when Turkey showed them the stick and threatened to use force. Exerting political and economic pressures might not be enough. A: You can always show the stick, but this is not showing the stick. This is about training and arming the opposition. How can this happen? If you yourself do that, what happens tomorrow if others do the same thing against you? Why should we set such a precedent? Turkey has a major quality in this region. Turkey gains strength through generating stability. Other countries gains strength by creating instability. We should not be a counter balance to this or that country. We are strong so long as we generate stability. Refusing to throw a wrench into the works of other countries is seen as a sign of weakness by the AKP, but it is not a weakness. It is a sign of strength. By allowing relations with Israel to deteriorate we lost a very important advantage we had once had vis-à-vis Iran. Now we have equated our status to that of Iran. We are told ‘when al-Assad leaves you will see that the government was right.’ Of course al-Assad will go; either today, either in one year or three years. What’s wrong is that Turkey has become party [to internal conflict]. Also there will still be instability even after al-Assad leaves. Q: The instability that will ensue afterwards does not justify favoring al-Assad to stay. A: We are absolutely not saying that al-Assad should stay. We are saying that the people in Syria should find the solution through a mechanism of internal dialogue and that Turkey should help push them in that direction. We should not take one side in a divided nation and shoot at the other side. The foreign minister said recently that the CHP ‘may be defending al-Assad due to their ideological affinity.’ First, we are not defending al-Assad. Second, there is no such thing as ideological affinity. If he is talking about some sectarian ties, then this is really very inappropriate. Q: Why is it inappropriate? There are Alevis in Turkey that are not happy with what’s going on in Syria. Can the CHPrepresent their views? A: No we can’t. We have the same values as the Turkish Republic. Turkey is a secular republic and we are a secular party. We have an Alevichairman, but Sunnis in the administration. We have both a very strong Sunni and Alevi constituencies. But this is only a matter that relates to their individual selves and families. Conviction is a personal issue. As we are a secular party in contrast to the government’s outlook we do not have a sectarian perspective. Q: How do you see Turkey’s current posture in international relations? A: Turkey was a country that you could count on in its friendship. Turkey sought stability and exported stability. It did not interfere in Arab affairs and intervened only through certain mechanism and these interventions were almost always constructive. Turkey was forging a strategic alliance with Syria when all of a sudden it took sides in the country’s internal conflict. It goes with oil to the fire in Syria. Turkey’s friendship is becoming a dangerous thing. You don’t know what Turkey will do later to those it extends the hand of friendship to now. We were nearly supporting Iran’s nuclear program not now not a day goes by without Iran criticizing Turkey for hosting NATO radar or for its Syria policy. The actions of the government harm its credibility and trustworthiness. First Turkey reacts strongly and then it backs down. It fiercely opposed Anders Fogh Rasmussen’s appointment as NATO Secretary General. Then it opposed France’s return to NATO’s military wing. Then it backed down on both issues. Turkey’s prime minister asked what NATO had to do in Libya, but then Turkey participated in theNATO operation in Libya. Q: How is the Arab world’s outlook of Turkey? A: There is a concept such as the Arab family, or the idea that is important to be an Arab. Turkey’s government thinks it can be the leader of the pragmatist Islamic belt that might emerge after the dust of the Arab revolutions settles, but there is no such possibility. We are not a member of the Arab family and Arabs won’t accept a non-Arab nation leading them. Q: So Turkey cannot be the leader, but can it be the spokesperson of changes in the region as Foreign Minister Ahmet Davutoğlu once said? A: Of course it cannot be. This is just one of Davutoğlu’s several other dreams. Q: How do you see Syria? A: It is very critical. We see that the conflict is also harming our economy and also harming our regional balances. We see the reflection of these problems especially in Hatay. A graduate of the Istanbul University Faculty of Law, Osman Korutürk joined the Ministry of Foreign Affairs in 1973. He served in the Permanent Mission of Turkey to the U.N. in both Geneva and New York as well as in the embassy in Moscow. Korutürk was appointed ambassador to Tehran in 1998. He then served as ambassador to Norway, Germany and Paris. Following his retirement in 2009, he joined the Republican People’s Party (CHP) and was elected to Parliament as Istanbul deputy in 2011. 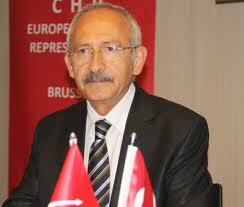 In 2010 and 2011 he was member of the CHP’s Central Administration Committee and its Vice Chairman in charge of Foreign Relations. He is currently the head of the CHP delegation in Turkish Parliament’s Foreign Affairs Commission.